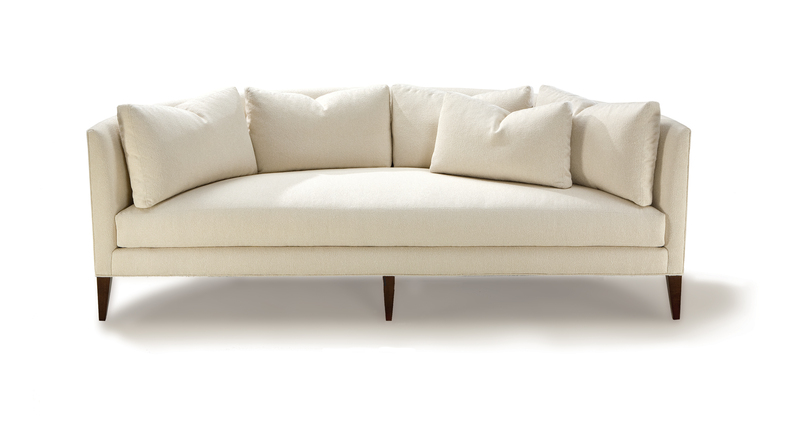 Designed by Ransom Culler, the Parker sofa is the epitome of curved comfort and elegance. Companion lounge chairs, the Meridien chairs, are also available. Select one of our in-house curated fabrics or leathers or provide COM. Choose any TC wood finish for legs. 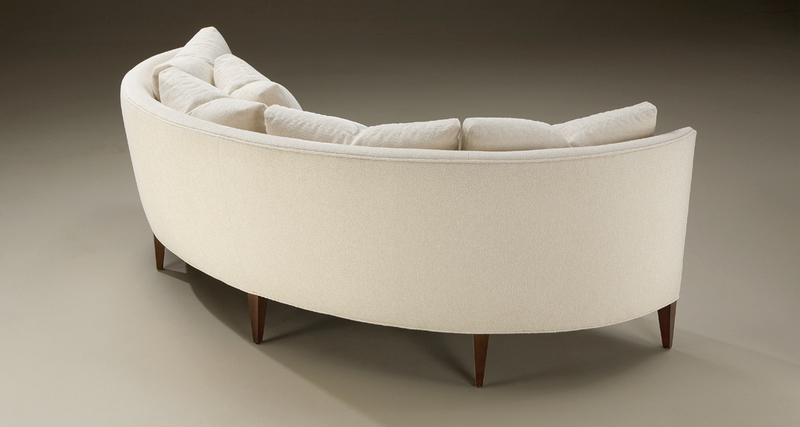 Standard with four 25 x 16 inch back cushions. Legs available in any TC wood finish.